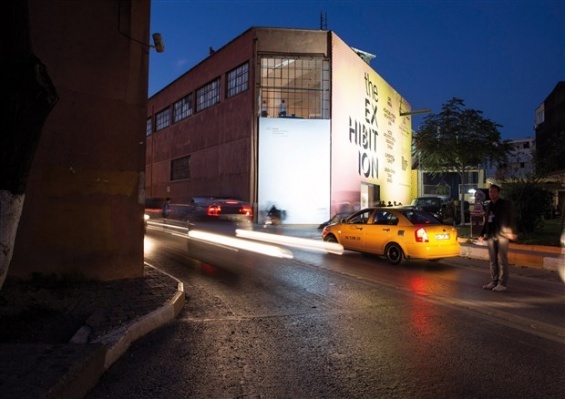 As the design community descended upon Istanbul for its inaugural Design Biennial, the New Museum presented IDEAS CITY: Istanbul—a three-day conference exploring the future of cities around the globe with the belief that arts and culture are a driving force behind the vitality of urban centers. Turkey shares its Asian border with five countries, its European border with two, and is embraced by two seas: the Black and the Mediterranean. With a population of fifteen million, Istanbul is not only Turkey’s largest city but is also the eighth largest metropolis in the world. Our small team had been planning this conference in earnest for six months. Fundamental to our initiative were two specific partnerships: one with SALT, a cultural and research center based in Istanbul who partnered with us on workshops; and the other with Audi Urban Future Initiative, who hosted our panels and keynote at a former spinning factory converted into a gallery and event space. She drilled down to her stalwart projects: the reinvigoration of the waterfront and the city’s photogenic landmark project that transformed abandoned infrastructure into a world-class park—the High Line, running from the Meatpacking District up to Chelsea. In her final remarks, she concluded that cities should use design as an agent for change to tap underutilized spaces and streets. In discussions later that evening and throughout the weekend, local participants spoke about how development was chaotic and rampant in their neighborhoods, not to mention that it was taking place without the consultation of the public. They also felt burdened by their thousand-year history and at the mercy of hysterical preservation—to the point of reconstructing entire buildings that once stood on a site. As popular phrases were bandied about—urban renewal, adaptive reuse, smart cities, hybridity—I kept coming back to the Hagia Sophia, one of the most beautiful structures I have ever encountered. Built in five years with 10,000 slaves, it was dedicated in 360 AD and served as an Eastern Orthodox cathedral for almost 1,100 years. In 1453, the Ottoman Turks assumed power and Sultan Mehmed II ordered the basilica to be converted into a mosque. Christian symbols, including bells, the altar, and sacrificial vessels, were removed and mosaics were plastered over. Four minarets were added on the exterior, and the mihrab and minbar were inserted into the sacred space. The Hagia Sophia served as the architectural typology for subsequent mosques built during the Ottoman Empire and Muslims prayed here for nearly 500 years. In 1934, when Turkey became a republic, the mosque reopened as a museum that now attracts 10,000 visitors a day. 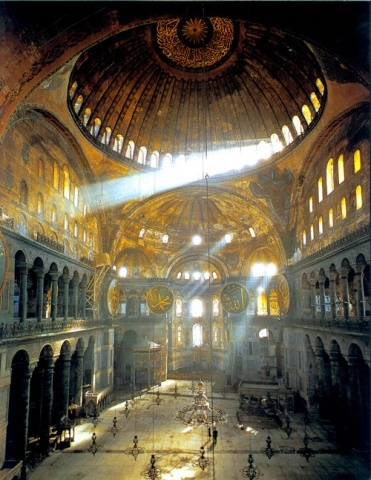 The Hagia Sophia—a monumental, loaded icon and an extreme example of adaptive reuse—suggests, as we speedily move towards the future of cities, that it would be wise to seek lessons from the past.